No Fenders -Formula 1, IndyCar and A Whole lot more..: The 50 Worst Cars? Then again, its hard to believe that its almost a quarter of a century now, that this much maligned chariot first arrived, since its also the same year as one of my all time favourite Ferrari’s was launched... Better known as the 288 GTO! Thus, while hunting for trivia upon the source of this story, i.e. 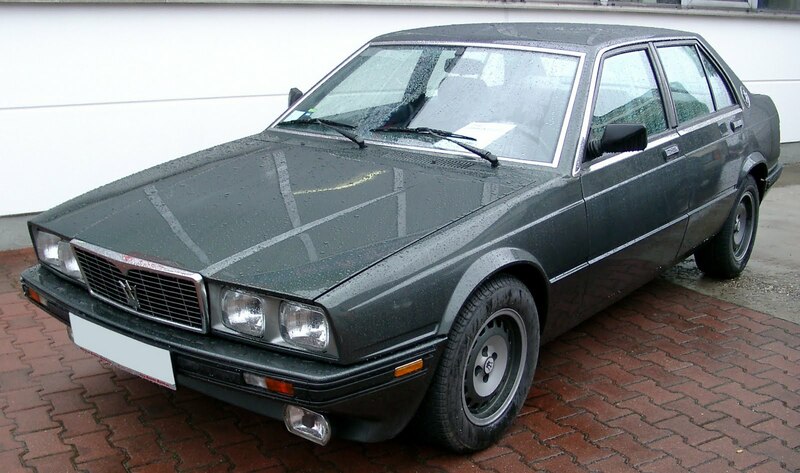 ; the Maserati Biturbo, I ran across the following link, which I’ll leave it up to you to decide whether or not this list is all it’s kracked-up to be? WOW! Even some hot shot whipper snapper named Tanner Foust has just been seen on a re-run of SPEED’s Supercars Exposed throwin’ down on the much maligned Mauser Biturbo; calling it Maserati’s ugliest car and then making fun of it, as a warmed over Rosso Biturbo is seen first being crushed and then grinded up into tiny recyclable bits at a junkyard. OUCH!